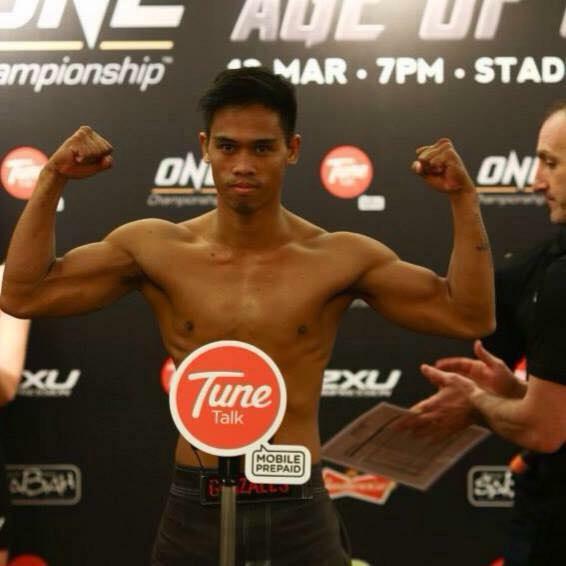 After going on hiatus for a year, Ramon “The Bicolano” Gonzales, 31, is competing again in the ONE Championship cage. The Kyokushin Karate black belt from Albay, Philippines is on the “ONE: Kingdom of Heroes” card, which marks his fourth bout in the promotion. Taking place at the Impact Arena in Bangkok, Thailand on October 6, 2018, “ONE: Kingdom of Heroes” features 6 mixed martial arts matches, 7 ONE Super Series striking-only contests and 1 boxing bout. In the first bout of the evening, Gonzales will compete in an MMA match in the flyweight division against Dodi “The Maung” Mardian, 34, of Indonesia. Holding a professional MMA record of 2 wins and 2 losses, Gonzales is coming off a second-round submission victory over Deligherihu “The Little Squirrel” Liu of China back in September 2017. On the other hand, Mardian currently has 0 win and 2 losses. “ONE: Kingdom of Heroes” marks his third bout in ONE Championship. Aside from Gonzales, another Filipino will be competing on the card. Fighting out of Iloilo, Philippines, former International Federation of Muaythai Amateur (IFMA) Muay Thai world champion Robin “The Ilonggo” Catalan, 27, of Iloilo City, Philippines takes on Japanese submission specialist Hayato Suzuki, 32, of Misato, Saitama, Japan in a preliminary flyweight contest.